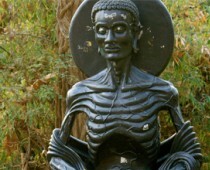 Starving Buddha, before finding the Middle Way. Photo: (cc) John Wigham (Akuppa), Flickr.com. LiveScience is reporting an Indian Mystic who is claiming not to have eaten in 70 years, saying he can obtain his sustenance through breathing and meditation. We can easily assume the claim to be false, based on what is known of biology and the fact that no one has ever proven such an ability under scrutiny. As the article mentions, this claim is a common one among Indian religious leaders. 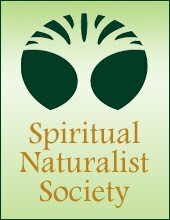 Deprivation has been a religious practice for thousands of years. The Buddha at one point is written to have tried this ascetic approach, starving himself. But he later rejected it as a path to enlightenment or happiness, saying that the answer instead rested in The Middle Way - a balance between the extremes of denial and gluttony. A lesson people today could certainly use. Almost all of us in the West today are this Indian Mystic's equally mislead opposite, believing that obtaining more and more material wealth, goods, food/drink, and entertainments are the answer to happiness. So, I prefer to reflect on that before judging this mystic too harshly.